One of the most exciting and in demand DJ's on the underground scene today, the DC10 resident has come a long way since his first days as a promoter in Paris to taking on the world with Apollonia. On first stepping foot into the dark and mysterious world of Paris' legendary Batofar after-parties back in 1998, Dyed knew he had found his calling. Taken by the 90's West Coast house being majestically spun by then resident Dan Ghenacia, the pair struck up a friendship that would unfold into a longstanding musical partnership. Being given the honour of playing at the final Batofar party when Kwality came to an end, these afterhours undoubtedly shaped the music Soundorom makes and plays today – psychedelic, deep and above all else, groovy. Gaining momentum with his first productions like Question EP and 'Remote Cocktail' on Ghenacia's super cool Freak N'Chic label, it was his massive remix of Anthea & Alex Celler's 'The Playmaker' that set dancefloors around the world alight. Naturally it wasn't long before his favourite club came knocking on the door and Dyed scored a residency at DC10 Ibiza, playing the infamous Circoloco Mondays. Fast forward a few years and Soundorom is undisputedly one of the integral sound-makers of the party, often playing b2b with Ghenacia, opening and closing the summer season with their unforgettable sets. Having released on the likes of Tsuba, Adult Only, Crosstown Rebels, Real Tone, and remixed for Culprit and Wolf + Lamb, it's no surprise Dyed has been invited to play at many of the best parties around the world – Panorama Bar Berlin, Womb Tokyo, Robert Johnson Frankfurt, Louche Leeds, Dimensions Croatia, as well as Rex Club Paris where he hosted his residency, playing with guests like Mathew Jonson, Kerri Chandler, Jamie Jones, Maayan Nidam, Onur Ozer and Tobi Neumann. 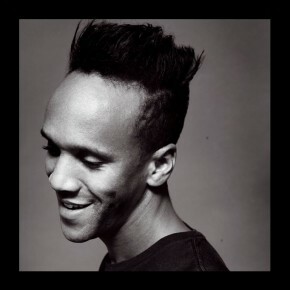 Soundorom made such an impression that in 2012 the club chose him to mix their third 'Rexperience' compilation, as did DJ Mag, who produced his preview mix CD ahead of playing the huge South West Four Festival in London. It's certainly true that Soundorom has a flair for remixing, his rework of Maya Jane Coles' 'What That Say' being just one of many hits worth mentioning. 2012 saw remixes for Dogmatik and La Vie En Rose, while his stripped back version of Intruder's house smash 'Amame' rose steadily up the Beatport charts, as did his dark and hypnotic interpretation of Onno's 'Paragroove'. Ready for the next challenge, 2012 marked a turning point with the launch of his new label and DJ'ing outfit with best friends Shonky and Dan Ghenacia. Presenting a back-to-back, one-record-each performance for five hours or more, the trio have already taken the concept around the world to the likes of Fabric London, Movement Festival Torino, DC10 Ibiza, Panorama Bar Berlin, as well as BPM Festival 2013 Mexico and Huaka Peru as part of their American tour. As a label, it provides a platform for the three to release their own music, as well as other producers they admire – the debut album comes from house heavyweights Chris Carrier and Hector Moralez, plus an EP from Daze Maxim including a remix from Soundorom. Coming later this year is the highly anticipated solo EP from Dyed, and for the first time an Apollonia team EP! Wow dan ben je echt tof zeg! !